“Ridgeway Reads” Spring Authors Series, public readings: There’s something for everyone in this series - biography, murder mystery, history, fiction, environmental subjects and local nostalgia. Every Friday evening from April 5 through May 24 the evening will begin with a reception at 6 pm, followed by the reading, a meet and greet and book signing. April 5: Rosemary Sadlier, president of Ontario Black History Society, on Harriet Tubman, who smuggled runaway slaves from the US to St. Catharines before the US Civil War. April 12: Hugh Brewster, expert on the Titanic sinking, and on the weekend of the 101st anniversary of the sinking, will host a memorable evening on the Titanic disaster. April 26: Jill Downie with an evening of intrigue, murder and mystery. May 3: Cathy Marie Buchanan will discuss her wonderful new book, “Painted Girls”. May 10: Celebrated author Susan Swan will discuss “The Western Light”. May 24: William Kae has compiled three elaborate books on the days of Crystal Beach which will put everyone in the mood for summer. June 2: Peter Vronsky will guide people on a tour of the Battle of Ridgeway battlefield at 11 am, followed by a book signing at the bookstore. 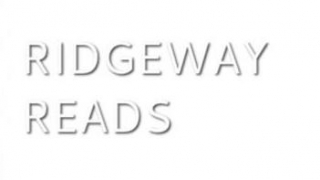 You can purchase a membership to the Ridgeway Reads Society which covers the cost of the readings and gives you a 15% discount at the bookstore.